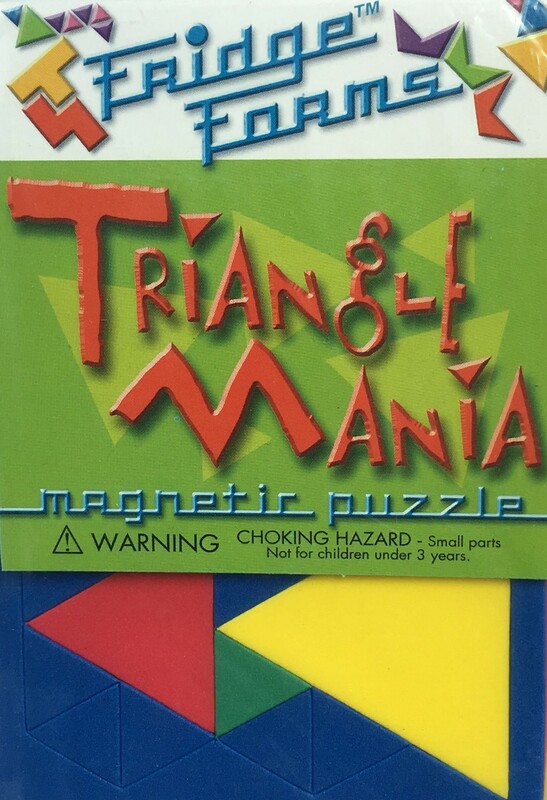 Guaranteed to unleash the triangle maniac in you! Perfect for fridges or other metal surfaces...or in fact any flat surface! Three sizes of colourful equilateral triangles, 72 in all, form hundreds of tantalizing patterns.